The special custom lash brush helps you to get the look of false lashes. The special brush curls, volumizes, lifts and separates your lashes for a dramatic false lash look. 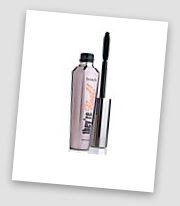 The mascara dries glossy soft without clumps and it won't smudge or dry out. They're real and here's the proof!